We’ve been remodeling Maple Grove homes and building custom homes in the Maple Grove area for over 20 years. During this time, we’ve worked on projects of all types from the simple to the luxurious. We’re proud of our workmanship and it shows in the finished project. You’ll love your new home when you have the experts at Katy Contractors on the job. 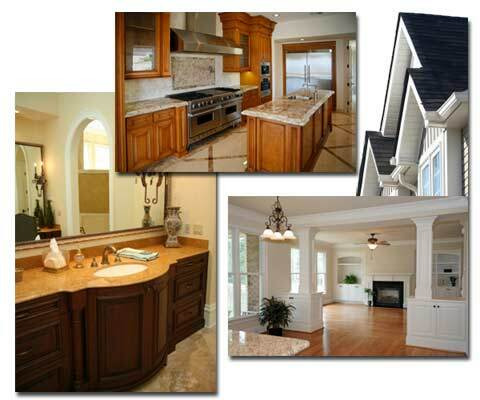 Kitchens Remodeling Maple Grove kitchens is one of our favorite types of projects. After all, the kitchen is where you spend a great deal of your time whipping up fantastic meals and entertaining guests. Whether you have your eye on a gourmet kitchen with professional appliances, want to create a more efficient workspace, or simply want to update the look with new cabinets and countertops we are here to help! We’ll assist you from start to finish and help you design a beautiful kitchen. bathroom can be one of the best home improvements you can make. Not only do Maple Grove homebuyers expect plentiful bathrooms, they want luxurious ones! Whether you want to update your bathroom with a new vanity or create a spacious retreat complete with a walk-in shower and high-end fixtures, you’ve come to the right place. There’s no job we can’t handle. Roofing Because Maple Grove is regularly pounded on by hailstorms and hurricanes, roofing is a big part of our business. If your roof has been damaged, we’ll be right out on a priority basis to secure your home from further exposure. Is it time for a new roof? We can help with that too. We offer a wide variety of roofing materials suitable for the Maple Grove area. Additions If you’re outgrowing your Maple Grove home, it may be tempting to sell and buy a bigger house. This could be a financial mistake! Selling, buying, and relocating to anew home is expensive and stressful. Realtor fees, closing costs, higher taxes, and a higher mortgage are just the tip of the iceberg. Your new home will need landscaping, patios, patio covers, garage door openers and all kinds of expensive extras once you move in. Instead, invest in your current Maple Grove home by adding a room addition. We can help you with any type of addition whether it’s on the ground floor or a second story. Imagine the comfort of a new master suite. Is a game room more your style? Let us help you extend your home with a new room addition.